Monument Rocks National Landmark –the site of the Chalk Pyramids – is rated the No. 1 thing to do in Western Kansas. And Lawrence, Kansas was named the Greatest Food Town in Kansas by Midwest Living in 2017. Seriously, it is the foodie hub. 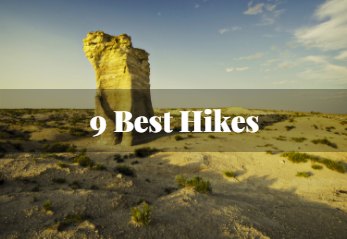 There is so much to do here in Kansas – hiking, camping, eating. 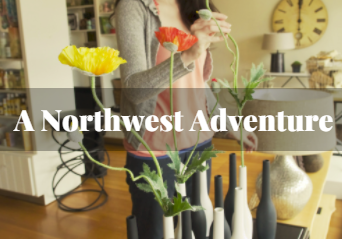 To experience this adventure, use the map below or print it out to take with you! Put yourself in the passenger seat and experience the trip below by clicking play on the video! Be transported into a trip with 4 friends ready to take on the weekend and fill their wanderlust in Kansas. Also make sure to check out their stops and other locations they plan to visit next. Each stop we made is one you can make! Kansas is all about outdoor opportunities – and they are as varied as the Kansas landscape. Hankering for a new brewsky or drink? A growing number of Kansas breweries & distilleries are popping up throughout the state. Follow the paths of great expedition teams and adventurers to see where history happened along Kansas' 12 distinctive byways. 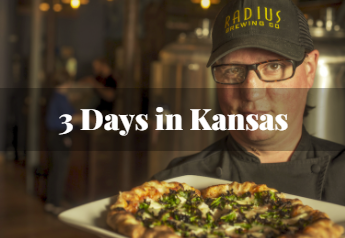 There’s no place like Kansas for cultural events, museums and art of all kinds. Tilt, swirl, sniff, repeat! Kansas wineries are a whole new kind of grape experience.